I made this cake for my step daugther's birthday recently. 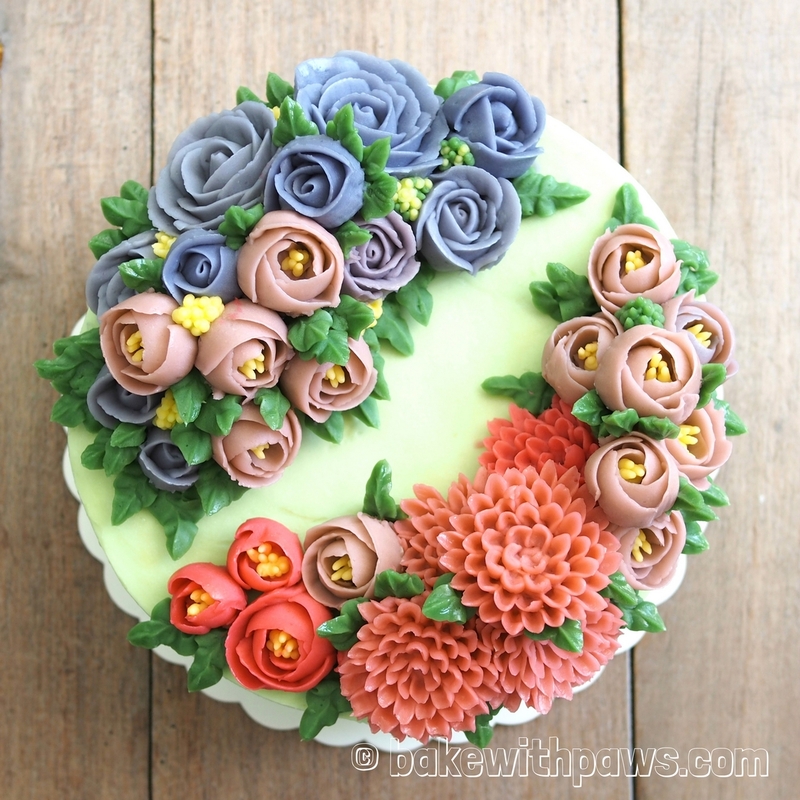 It's a Japanese cotton cheesecake that she requested for. 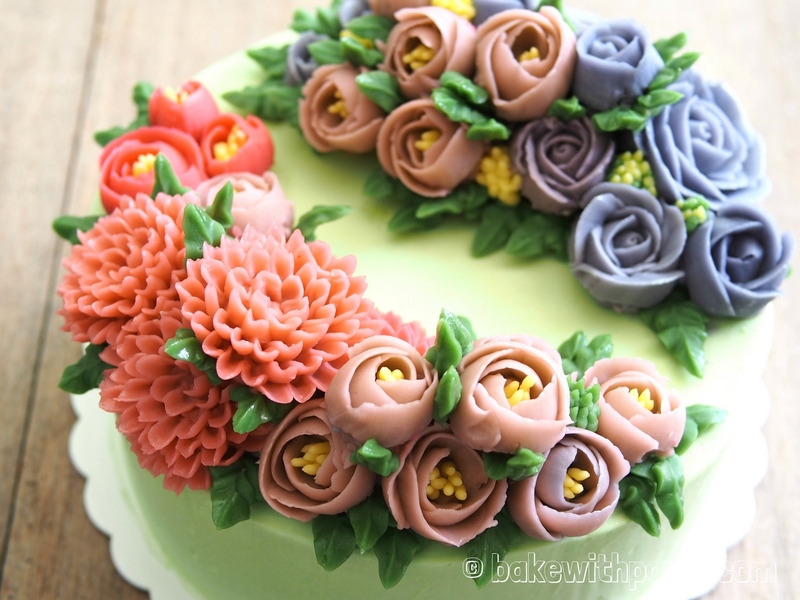 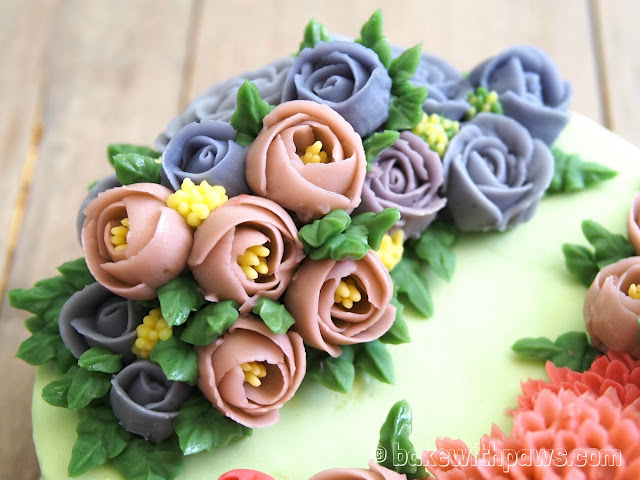 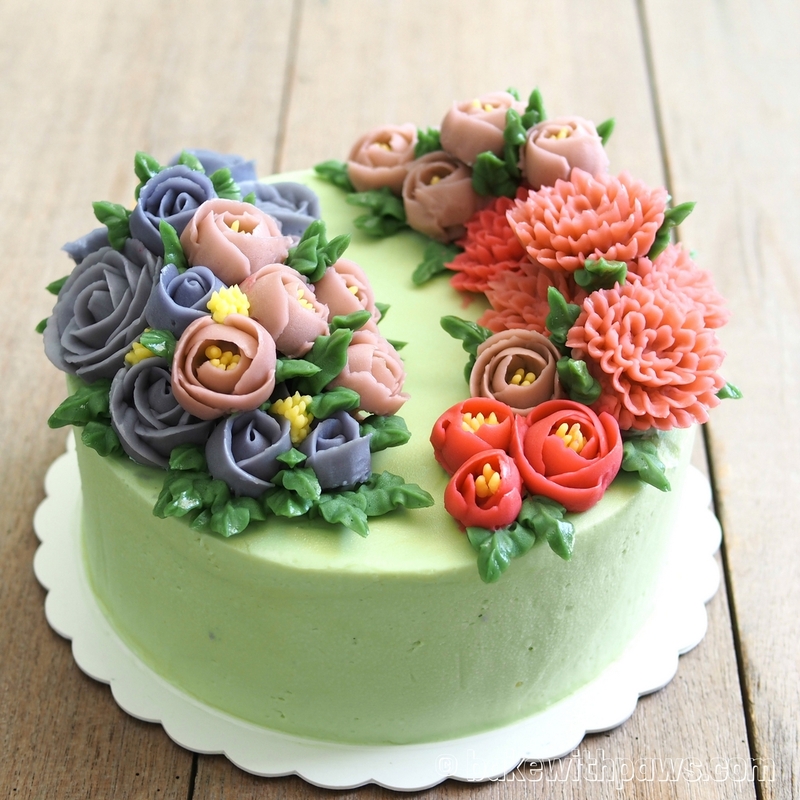 I coated it with pandan swiss meringue cream and decorated with Korean buttercream flowers. My husband commented that there were probably too many flowers on the cake and I agreed with him. 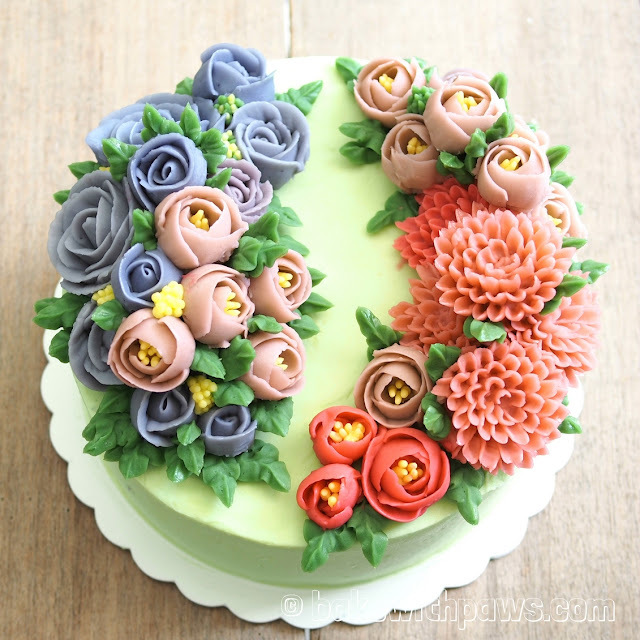 I was too a little greedy with the arrangement of flowers on the cake.